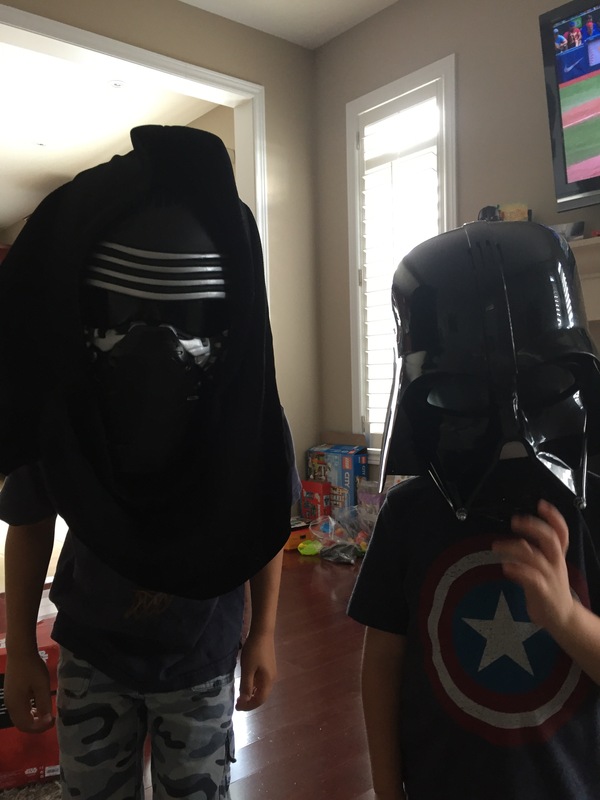 It was only this past year that my kids got into Star Wars. My husband is a huge fan and when a friend of ours downloaded the entire series for him, he was so excited. I had seen a few of the movies but wasn’t quite caught up. I enjoyed it and thought it would be a great family event to all watch together. Because of the boys’ age, we weren’t sure if they would like it or be scared. But turns out, they loved it and have become, well, addicted. The Star Wars universe has expanded on Netflix! 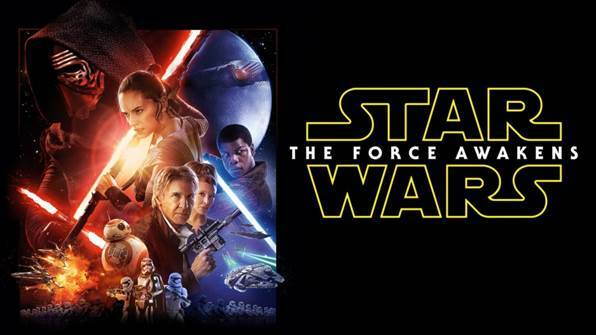 Members in Canada were able to stream Star Wars: The Force Awakens on July 15. If that’s not enough of a Star Wars fix, you can also catch up on the last days of the Galactic Republic with the entire Clone Wars series and feature film right now. With the Clone Wars and The Force Awakens now on Netflix, families can bond over a beloved franchise that parents grew up with and kids will love. 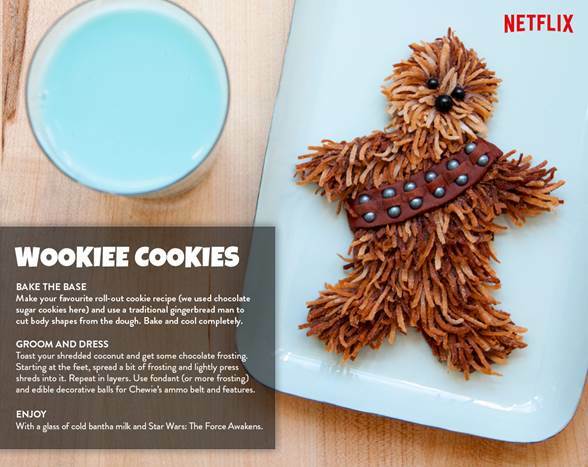 For those who are excited about the launch of Star Wars: The Force Awakens on Netflix, I wanted to share a fun themed recipe on how to make your very own Wookie Cookie at home! These are such awesome cookies!! Aren’t they cute?! If you make them show me!